Visteon has confirmed it's in discussions with a private equity firm to sell its stake in South Korean joint venture Halla Visteon Climate Control. 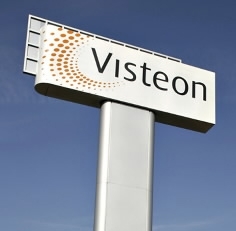 Media reports in South Korea on Monday said Visteon and Hahn & Co. had signed a preliminary agreement. Visteon plans to sell its nearly 70 percent stake for $3.6 billion, the Korea Economic Daily reported. Visteon, however, said in a statement that "there can be no assurance these discussions will result in any transaction or on what terms any such transaction may occur." The deal would mark the end of a tumultuous few years for the Halla Visteon venture. In 2012, two years after emerging from bankruptcy and still struggling to sustain profitability, Visteon sought to take full control of the Halla joint venture. In July of that year, Visteon said it would offer $805 million to acquire the 30 percent stake in Halla that it didn't already own. But the deal was ultimately rejected by Korea's National Pension Service, which held an 8 percent stake in Halla. The pension group said the offer was low compared with long-term profits. The failure to secure the deal ultimately led to Visteon's board parting ways with then-CEO Don Stebbins. In September 2012, Visteon, under new CEO Tim Leuliette, sold its global climate control business to the $4 billion Halla joint venture. The move was made to make a sale of the venture, Leuliette told Automotive News Europe sister publication Crain's Detroit Business at the time. Earlier this year, Halla Visteon agreed to acquire the thermal and emissions business from Cooper-Standard Automotive for $46 million. The deal strengthened the venture’s product line in North America and Europe. Halla Visteon Climate Control’s customers include General Motors, Ford, Chrysler Group, Tesla, Honda, Nissan, Volvo, Volkswagen Group, BMW Group and Mercedes-Benz. Visteon ranks No. 31 on the Automotive News Europe list of the top 100 global suppliers with worldwide sales to automakers of $7.4 billion in 2013. Europe accounted for 30 percent of that total. It operates 35 plants in North and South America, Europe and Asia.